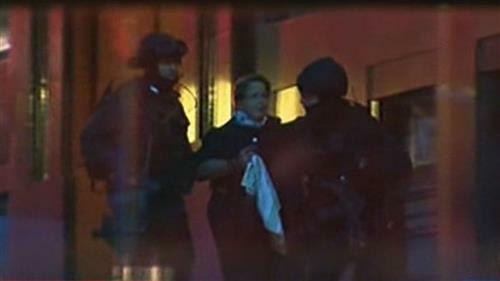 Hostages are being held inside a chocolate shop in Sydney, Australia. 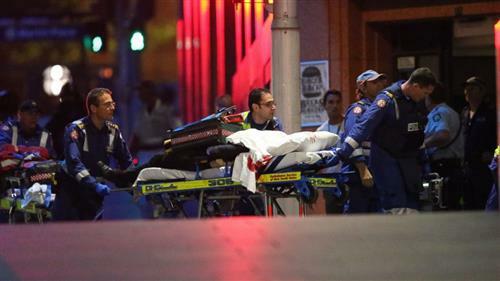 The scene at the cafe has lasted about 17 hours as local time in Sydney is 2:32 am. A dramatic 32-second video shows armed police throwing what appears to be stun grenades, plus loud shooting and flashes of lights. According to New South Wales police, "the siege is over." Meanwhile Uber is backtracking on price hikes in place as people were fleeing Sydney. The San Francisco-based car- company is promising free rides and refunds for those people. The company was quickly criticized in a social media storm for hiking prices during the hostage crisis. Read more about that story. 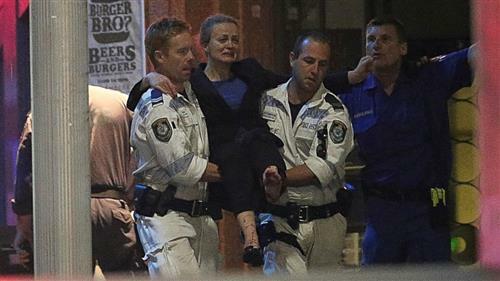 No word yet on the whereabouts of the alleged hostage taker Man Haron Monis. Replays of the live video show medics transporting people on stretchers and armed police carrying at least one shaken woman. Video replays show medics or police performing CPR on an unknown individual on the ground. 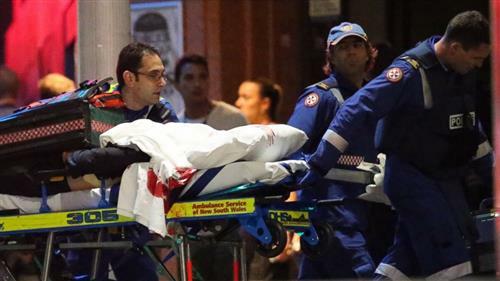 Watch ABC News' Special Report live stream coverage of the events in Sydney. 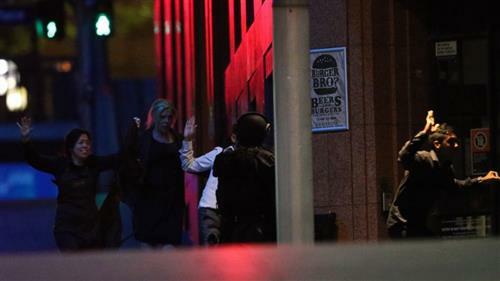 Here's a summary of what we know now that the hostage crisis is over: Sydney Hostage Crisis Over After Police Storm Cafe With Stun Grenades. Check back for updates. During the hostage crisis, an Australian radio host took calls from some hostages. "I could hear the hostage-taker in the background issuing instructions to him on what to request me to say on air,” Ray Hadley told ABC News. Hadley was hosting his radio show on Australia’s 2GB station when he says a hostage called in on his show’s open line. Hadley did not put the hostage on-air live -- worried about the risks -- but says he spoke to the hostage in four conversations before police negotiators took over. More from that ABC News story here. The U.S. Consulate Sydney is advising U.S. citizens and others to avoid the area around Martin Place until further notice, informing U.S. citizens that the Consulate will be closed to the public on Tuesday, Dec. 16. State Department spokeswoman Jen Psaki says U.S. citizens in Sydney are "strongly encouraged to remain vigilant and aware of their surroundings, and monitor local news stations for updates." But no travel warning has been issued for Australia. Thanks for following our live blog. Check ABCNews.com for continuing coverage in Sydney.